In a fascinating survey taken at the start of the University of Derby’s ‘Dementia’ MOOC, using Canvas, where 775 learners were asked whether they expected to fully engage with the course, 477 said yes but 258 stated that they did NOT INTEND TO COMPLETE. 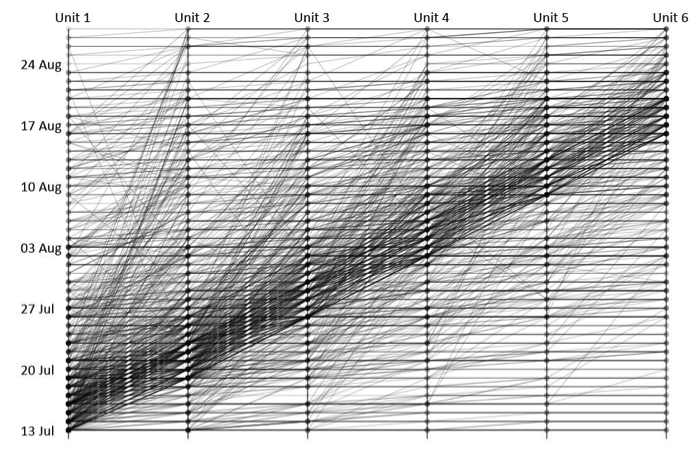 This showed that people come to MOOCs with different intentions. 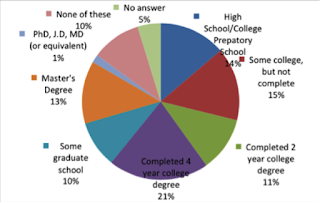 In fact, around 35% of both groups completed, a much higher level of completion that the vast majority of MOOCs. They bucked the trend. Now much is made of dropout rates in MOOCs, yet the debate is usually flawed. It is a category mistake to describe people who stop at some point in a MOOC as ‘dropouts’. This is the language of institutions. People drop out of institutions - ‘University dropouts,’ not open, free and online experiences. I’m just amazed that 40 million have dropped in. So let’s go back to that ‘Dementia’ MOOC, where 26.29% of enrolees never actually did anything in the course. These are the window-shoppers and false starters. False starters are common in the consumer learning market. For example, the majority of those who buy language courses, never complete much more than a small portion of the course. And in MOOCs, many simply have a look, often just curious, others want a brief taster, just an introduction to the subject, or just some familiarity with the topic, and further in, many find the level inappropriate or, because they are NOT 18 year old undergraduates, find that life (job, kids etc.) make them too busy to continue. For these reasons, many, myself included, have long argued that course completion is NOT the way to judge a MOOC (Clark D. 2013, Ho A. et al, 2014; Hayes, 2015). Course completion may make sense when you have paid up front for your University course and made a huge investment in terms of money, effort, moving to a new location and so on. In open, free and online courses there is no such commitment, risks and investments. The team at Derby argue for a different approach to the measurement of the impact of MOOCs, based not on completion but meaningful learning. This recognises that the diverse audience want and get different things from a MOOC and that this has to be recognised. MOOCs are not single long-haul flights, they are more like train journeys where some people want to get to the end of the line but most people get on and off along the way. 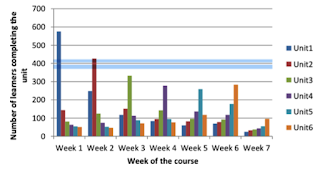 Here’s two sets of data from the Derby Dementia MOOC and the six Coursera MOOCs delivered by the University of Edinburgh. 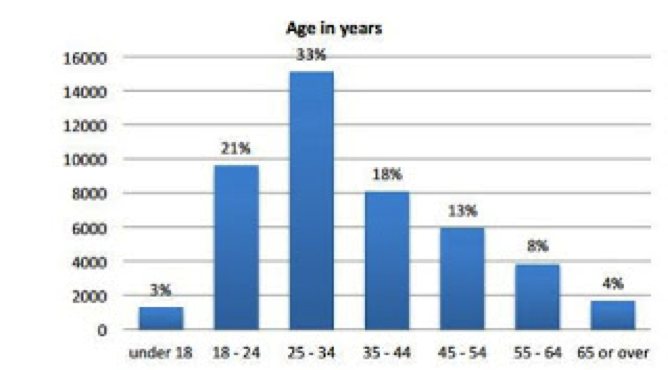 It is clear that MOOCs attract a much older audience than the average campus student. This is important, as older learners are far less likely to want pieces of paper and certification or bother that much about not completing the full diet of content. We are also seeing a drift away from the initial graduate only audience. 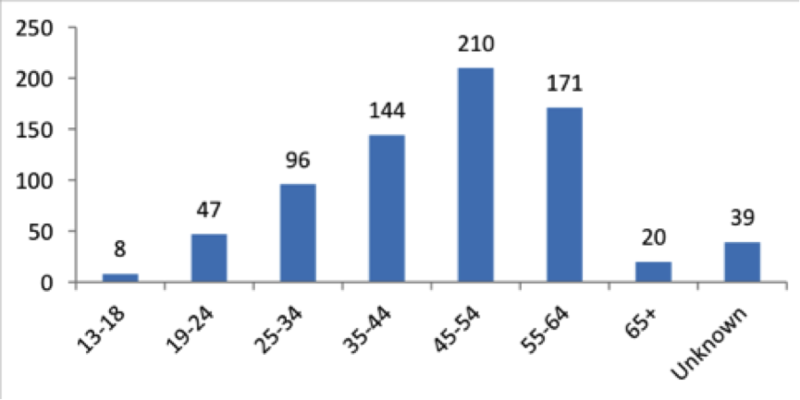 There is still a skew towards graduates but this is because these are the early adopters and almost the only group who know that MOOCs exist. Only now, do we see some serious marketing, targeted at different audiences and this is starting to have effect. 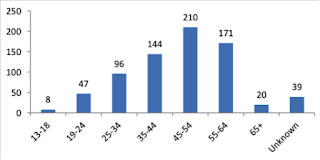 Indeed, the majority of participants (55%) in the Dementia MOOC are not University graduates. Now here’s an interesting thing. A point often forgotten in MOOCs - learner motivation. This compares well with the Edinburgh data. The bottom line is that people who do MOOCs really want to learn. They are not largely motivated by pieces of paper or even completion. As MOOC audiences are different from traditional HE students and as their audiences change in terms of age, background and motivation, the more likely MOOCs will have to respond to these new audiences and not mimic University semester courses. 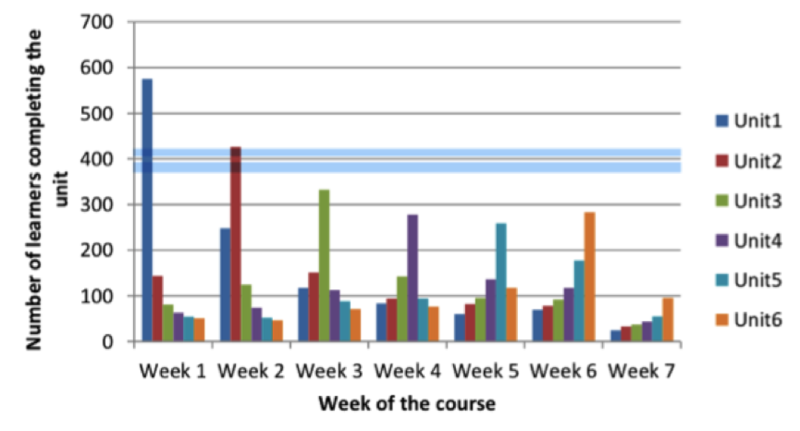 The team at Derby have already suggested an alternative set of metrics for measuring the success of a MOOC. They’re right. It’s time to move beyond the boring. Repetitive questions we hear every time the word MOOC is mentioned – dropout, graduates only…..
Hadi, S. Gagen P. New model for measuring MOOCs completion rates. Presentation at European MOOCs Stakeholder Summit. We’ve all been stuck on a maths problem. Look up a textbook – hardly ever helps, as the worked examples are rarely close to what you need and explanations clumsy and generic. What you really need in help on THAT specific problem. 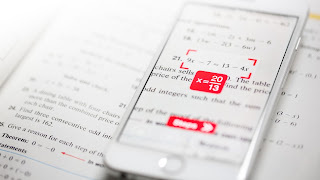 This is personalised learning and an app called Photomath does it elegantly using AI. Simply point your mobile camera at the problem. You don’t even have to click. It simply scans and comes up with the answer and a breakdown of the steps you need to take to get to the answer. It can’t do everything, such as word problems, but it’s OK for school-level maths. The app is quite simple at the moment and only solves basic maths problems. It has been criticised for being basic but it’s at this level that the vast majority of learners fail. But it’s getting there and I don't want to get hung up on whether Photomaths is as good as it says it is. or better than other maths apps. For me, it's a great start and a hint of great things to come. In fact Wolfram Alpha is a lot more sophisticated. But it is the convenience of the mobile camera functionality that makes it special. Maths is a subject that is full of small pitfalls for learners, many which switch off learners, inducing a mindset of ‘I’m not good at maths’. In my experience, this can be overcome by good teaching/tutoring and detailed, deliberate feedback, something that is difficult in a class of 30 plus students. This subject, above all others, needs detailed feedback, as little things lead to catastrophic failure. This approach, therefore, where the detail of a maths problem is unpacked, is exactly what maths teaching needs. It is a glimpse of a future, where performance support, or teacher-like help, is available on mobile devices. AI will do what good teachers do, walk you through specific problems, until you can do it for yourself. Predictably, students love this app, while teachers hate it. This is a predictable phenomenon and neither side is to blame. It happened with Google, Wikipedia, MOOCs,….. and it’s the same argument we heard when calculators were invented. The teachers’ point is that kids use it to cheat on homework. That depends on whether you see viewing the right answer and steps in solving an equation as cheating. In my opinion, it simply exposes bad homework. Simply setting a series of dry problems, without adequate support, is exactly what makes people hate maths, as help is so hard so find when you’re sitting there, on your own, struggling to solve problems. Setting problems is fine for those who are confident and competent, it often disheartens those who are not. Sure the app will give you the answer but it also gives you a breakdown of the steps. That’s exactly where the real leaning takes place. What we needs is a rethink about what learning and practice means to the learner (and homework) in maths. The app is simple but we now see technology that is, in effect, doing what a good teacher does – illustrating, step-by-step, how to solve maths problems. Homework causes no end of angst for teachers, parents and students. Some teachers, based on cherry-picked evidence or hearsay, don't provide any homework at all. Many set banal and ill-designed tasks that become no more than a chore to be endured by the student. I personally think the work 'homework' is odd. Why use the language of the workplace 'work' to describe autonomous learning? In any case, we must move beyond the 'design a poster' and get the right answer tests, to encoring autonomy in the learner. This means providing tasks where adequate support is available to help the learner understand the process or task at hand. AI is entering the learning arena at five different taxonomic levels; tech, assistive, analytic, hybrid and automatic. This is a glimpse of what the future will bring, as intelligent AI-driven software delivers, initially assistance to students, then teacher-level functionality and eventually the equivalent of the autonomous, self-driving car. It's early days but I've been involved in projects that are seeing dramatic improvements in attainment, dropout and motivation using AI technology in learning. I’ve been using AI in a tool called WildFire that uses semantic AI to create online learning content from ANY document, PowerPoint or video. No lead time, sophisticated active learning and a massive reduction in cost. We’re starting to see a new generation of tools that use smart AI techniques to deliver personalised learning. AI is fast becoming the most important development in the advancement of teaching we’ve seen to date. This brilliant cartoon from the New Yorker says it all. So much learning is 1D – one dimensional written text. I don’t mind this for subjects that are solely concerned with texts, but when text is used to deliver teaching and learning that falls short by that method, things start to fall apart, or get very, very long-winded. Sure, we’ve gone up a gear with a richer mix of media. We have paper, radio, film, TV, the web - all 2D. We ‘ve had books, blackboards, whiteboards, computer screens, tablets and mobiles. – all are 2D. But VR is a new medium that allows you see the world in 3D. All of what we do in life is in 3D. We live, enjoy and work in 3D environments, doing 3D things with 3D people. That’s why 3D learning matters. As Chris Milk said, "In all other media, your mind interprets that medium. In VR your consciousness is the medium." It's that profound a shift. This is the first major new medium to emerge since the web and it may be the last, the final medium, as can be anything and everything. It is not a toy or gadget but a way of re-presenting the world of learning that is fundamentally different from paper, audio or screens. It represents ANY world for learning in full 3D, worlds you can look and move around in. More than this, you will believe you are there. Your mind will scream “I’m here’ – and you will have no choice. 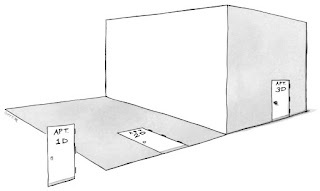 Any world can be presented in 3D but think on this – your imagination is the only limit. I can take you into space to learn Newton’s three laws (I have), under the ocean to teach biology (I have), to the molecular level in chemistry, to any habitat for biology, to any scale or lab for physics, to any place for geography, back in time for history, immersion for languages. We can also let you hone your sports skills and all practical, vocational subjects, training of soft skills, design skills, engineering skills and other real world behaviours. I can even take you to impossible worlds and you can do impossible things. These are all provided by VR. I’ve never seen so many people so entranced with a piece of new technology. You will pay full attention in a way that you’ve never experienced before, be fully and emotionally engaged and do things as if they were real. Because your consciousness is so immersed in the learning task, transfer will be high, along with retention. What’s not to like?